Refreshes and soothes the skin. Rosa Damascena Flower Water is a natural skin conditioner, odor neutralizer and deodorizer. Neutralizes odor with a fresh natural scent  Very Very light modern rose. Avena Strigosa (Black Oats) moisturizes and soothes skin. Horse chestnut, with its antioxidant and anti-inflammatory properties, softens and protects. Lactic Acid is antibacterial and provides hydration to the skin. Works with the ph balance of the V area. Arctic Cloudberry Fruit Extract soothes and strengthens skin. Bilberry conditions and softens the skin. 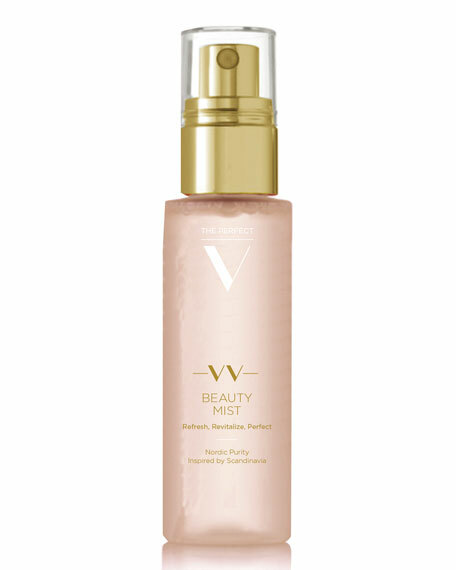 Refresh your V area* with a light spritz any time of day or night. Use daily as part of your beauty VANICURE regimen. The Perfect V clean beauty product line is for anytime or after any kind of hair removal. 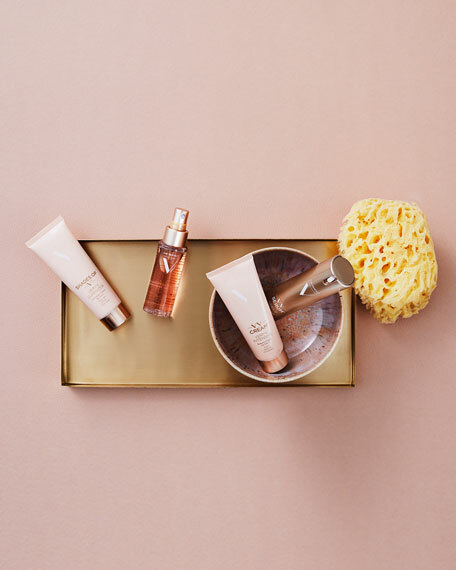 It is multitasking luxury skincare that's formulated to help rejuvenate, enhance, and beautify. Paraben-free, PH- balanced, and dermatologist and gynecologist tested.